Darrell Hoemann/Midwest Center for Investigative Reporting. Workers rest outside at at the Nightingale camp after a day's work in Rantoul, Illinois, on Sept. 29, 2014. 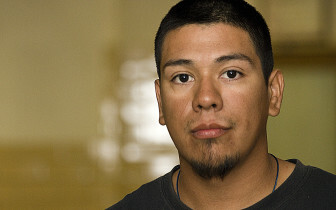 Ricardo Arismendez left his home in Temple, Texas, in the autumn of 2014 to work 12-hour days for $9.50 an hour at a corn processing facility in central Illinois. As part of the deal that included overtime pay, a job recruiter promised the then 21-year-old that the work in Farmer City would come with free temporary housing. 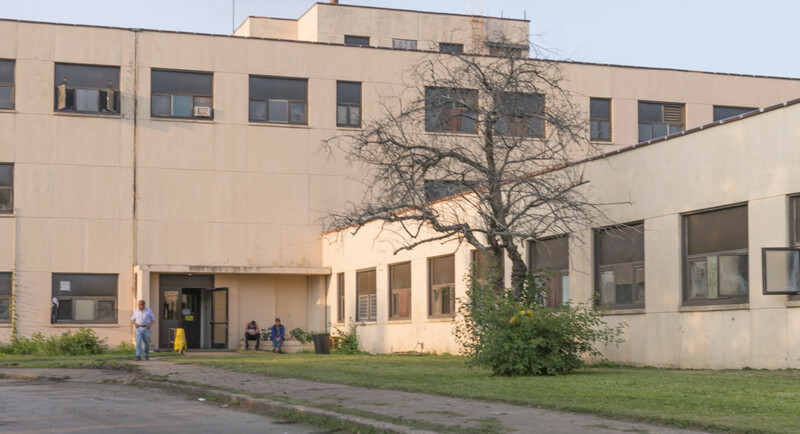 But when Arismendez arrived at the housing, known as Nightingale Camp, he quickly learned the former hospital building in Rantoul had many problems — though it was inspected and licensed by the state of Illinois. The housing conditions were so poor, Arismendez said, that some workers refused to stay there, including one of the five friends he traveled with. In fact, inspectors noted over the years that the housing had deficient plumbing and lighting and inoperable smoke detectors. Ricardo Arismendez at the Nightingale migrant camp in Rantoul, Illinois, on Sept. 26, 2014. “A lot of people left before they even started working because they were stressed out (by the problems),” Arismendez said. Nightingale Camp, located in the former Chanute Air Force Base, is the largest registered migrant housing facility in Illinois, providing rooms for up to 450 migrant workers each year, including families and children. The Rantoul facility is owned by the local company Unique Storage. Monsanto Company hires job recruiters who then place workers at Nightingale. State agencies and federal laws — most notably the Migrant and Seasonal Agricultural Workers Protections Act — are supposed to protect hundreds of thousands of migrant farmworkers like Arismendez from deficient and unsafe housing. But an ongoing investigation by The Midwest Center for Investigative Reporting has found the oversight of migrant housing is a fractured and ineffective system despite decades of reforms. And the housing in Rantoul is emblematic of the persistent, substandard housing — often referred to as camps — for migrant workers throughout the United States. 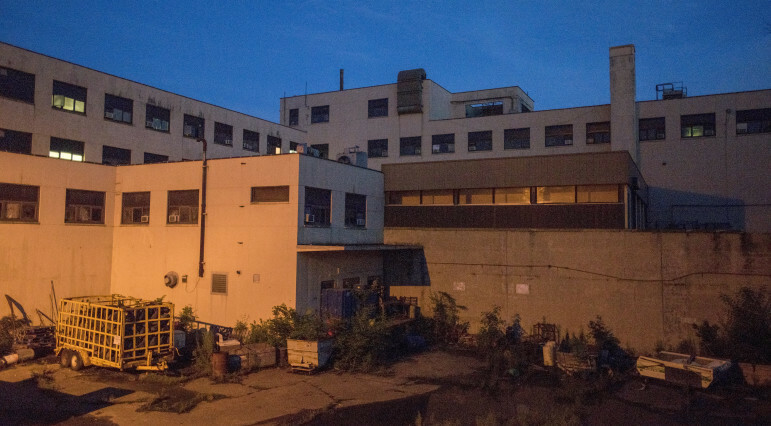 As a result of the splintered regulatory system, migrant workers end up living in a patchwork of converted motels, makeshift trailers, rundown apartments and other types of housing plagued with violations similar to or far worse than Nightingale’s. Owners of migrant housing argue that it is difficult to keep housing in good shape because workers are constantly moving in and out, and inspection agencies say they can only do so much with the staffs and laws they have. The center’s initial examination has focused on Illinois, Indiana, Iowa, Michigan, Missouri, Texas and Wisconsin. The investigation included a review of hundreds of mostly handwritten inspection reports from five of the states obtained through Freedom of Information Act requests. The center is using those reports, which date from 2011 to 2014 so far, to create the first-ever nationwide database of migrant worker housing inspections.
? Inspection reports show black mold, raw sewage and pest infestations were among the most serious violations. Other common violations ranged from broken doors and windows to defective plumbing and electrical wiring.
? States often have a low number of inspectors, who have additional duties beyond inspecting migrant housing. Inspectors also sometimes lack the authority to penalize owners for health and safety violations or do not issue fines even if they can. For example, Illinois did not fine any migrant housing owners over the past year. Instead, agencies generally conduct follow-up inspections or eventually deny the owner a license to stay open.
? Agencies responsible for inspecting housing vary from state to state, and federal agencies generally become involved only when there are complaints.
? Overall, inspectors cited housing for health and safety deficiencies in at least half their reports.
? 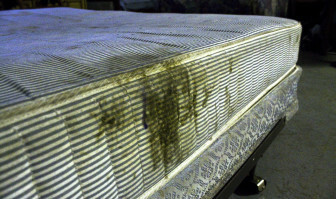 Much of migrant worker housing goes unlicensed and uninspected. Licensed facilities make up only a small portion of the total housing because employers often avoid registering their housing. Workers sometimes arrange their own. In Illinois, Indiana and Iowa, migrant housing inspections are conducted by each state’s health department or equivalent agency. Michigan’s Department of Agriculture and Rural Development conducts inspections. In Texas, the Manufactured Housing Division of the Department of Housing and Community Affairs conducts them. In Missouri, it is the Department of Economic Development. And in Wisconsin, it’s the Department of Workforce Development. Illinois, Indiana, Michigan and Wisconsin conduct annual migrant labor camp inspections before workers move into housing and at least once after the housing is occupied. In Missouri, inspections are required for housing of foreign workers in the H-2A visa program, but not for U.S. workers. Iowa does housing inspections of its 20 or so licensed sites only when there are complaints because it has only one part-time employee to do the job. “We don’t have a full time employee dedicated to this program because we don’t have a budget or money for it,” said Carmily Stone, bureau chief of environmental health services at the Iowa Department of Public Health. Complicating the system, there are no common or standard definitions of certified migrant housing. While one state requires housing that holds five or more workers to be registered, others require sites with 10 or more workers to register. 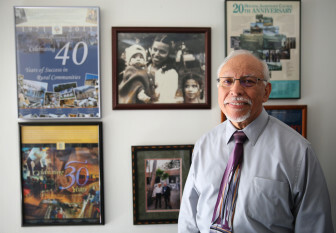 Moises Loza, executive director of the Housing Assistance Council, in his office in Washington, D.C. An old photograph of his family hangs among posters commemorating the council’s work over the years. According to the U.S. Department of Labor’s Wage and Hour Division, there are no federal checks in place to ensure state and local housing standards are enforced. “Although the Wage and Hour Division does not regulate which state or local agency conducts the housing inspections, our district offices across the country are encouraged to maintain open lines of communication with their state and local counterparts, including the agency that would ordinarily conduct the pre-occupancy housing inspections,” a spokesperson wrote in an email. The Department of Labor also said it does not keep track of which state and local agencies conduct inspections in each state. In Rantoul, a 2014 state inspection of the three-story Nightingale building found fire extinguishers had already been blown. Rooms needed painting, and ceilings tiles were missing. Beds lacked covers, and many mattresses were filthy. The telephone line didn’t work. Inspectors also noted that a disconnected shower drain was improperly capped and that bathrooms lacked working ventilation. During the same year, the center’s reporters visiting the building observed that ovens in the communal kitchen were rusting and missing burner knobs. Another journalist reporting for a local newsroom who wrote about the facility in 2009 also saw many housing deficiencies. Comment could not be obtained from the facility’s owner, Unique Storage, which is also based in Rantoul, despite repeated calls and emails. Monsanto Company said, however, it strives to provide good housing for migrant workers. Monsanto was listed as an owner for several housing facilities throughout Illinois as recently as 2014, according to state records, but it now is not listed as an owner of any. “Any time you get a large number of people together in one place, it can be a challenge. Monsanto-arranged migrant camps are monitored, and bilingual Monsanto employees communicate with the workers to assist in identifying and correcting any deficiencies that may occur in season,” Monsanto spokeswoman Charla Lord said in an email. Nonetheless, inspectors often find similar housing deficiencies year after year in Illinois and other states. Meanwhile, Michigan inspectors cite housing owners and operators for the removal of smoke detector batteries “all of the time,” said Majed Ghussaini, who is the migrant labor housing program manager for the Michigan Department of Agriculture and Rural Development. Ghussaini said such violations are partially caused by groups of migrant workers constantly shuttling in and out of housing throughout different growing seasons. Substandard housing exposes farmworkers to a litany of physical and psychological dangers, said Virginia Ruiz, director of occupational and environmental health for advocacy group Farmworker Justice. Even seemingly minor deficiencies can cause serious harm, she said. For instance, the lack of accessibility to decent shower and laundry facilities is a key concern that’s frequently overlooked. Farmworkers spend hours handling crops sprayed with heavy doses of toxic pesticides, so if they cannot wash off or disinfect their clothing, exposure to the pesticides and possible illness is increased substantially. Despite hazardous conditions, workers are not likely to point out housing problems to local and state authorities, in part from worries over angering their employers, losing their job or exposing their lack of legal status, advocates say. 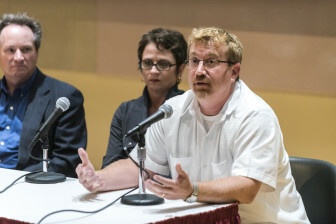 Miguel Keberlein Gutierrez, director of the immigrants and workers’ rights practice group at the Chicago-based Legal Assistance Foundation speaks at an event on Tuesday, Sept. 29, 2015. “It’s a grey area where migrant (workers) likely have no one to complain to,” said Miguel Keberlein Gutiérrez, director of the immigrants and workers’ rights practice group at the Chicago-based Legal Assistance Foundation. When workers do complain, they sometimes file lawsuits with the help of legal aid organizations like Keberlein Gutiérrez’s. As a result, the housing conditions have been the target of lawsuits in the past few years, state court records show. In 2012, migrant worker Jose Cardenas and his family sued Monsanto and job contractor Hermilo Cantu Jr., who recruited workers. That lawsuit alleged that the defendants failed to accurately disclose in writing terms and conditions of employment, to maintain payroll records, to comply with the promise to provide free housing and to ensure safe housing. The workers they employed were from the Rio Grande Valley and hired to detassel corn in Indiana. Detasseling is the process of removing flowers, or “tassels,” from the top of the corn to create better hybrid seeds. In a separate, similar 2013 lawsuit, 13 adult migrant workers and seven children from the Rio Grande Valley hired to detassel corn in Iowa sued Monsanto, labor contractors Alejandro Moreno and Francisca Moreno and housing owner Micaela Ledezma. The lawsuit alleged that the defendants violated employment commitments and that workers were housed in “substandard” housing plagued by inadequate plumbing, dangerous electrical inadequacies, flooding and vermin. In another case in 2014, 23 migrant workers recruited from Texas sued Pioneer Hi-Bred International. They too were hired to detassel corn in Indiana. Krizia Vance/for the Midwest Center for Investigative Reporting. A mattress at the Nightingale camp after a day’s work in Rantoul, Illinois, on Sept. 29, 2014. Their complaint alleged that workers were housed in a small motel with an insufficient number of beds, leaving workers to either share beds or sleep on the floor. The housing also lacked hot water, cooking equipment and laundry facilities. Additionally, the complaint argued the labor contractor who recruited the workers arranged housing when he was not legally authorized to do so. When asked about the lawsuits, Monsanto’s spokeswoman emphasized that it is committed to providing good working conditions. “When questions arise, we are committed to working quickly and collaboratively with state and legal aid groups to address any worker concerns raised, as we did with these cases from years ago,” Lord said in an email. A spokesman for Pioneer stated “the case has been resolved” and declined further comment. All three of the cases were settled for undisclosed terms and dismissed, according to court records. The companies and farmers that own and operate housing argue that violations are unavoidable. Housing facilities are often only open for a few weeks or few months out of the year, which makes them difficult to maintain, they said. Migrant workers cook at the Nightingale camp in Rantoul, Illinois on Sept. 26, 2014. Plank employs migrant workers to plant tomatoes in May and harvest them later in the year. He said he used to hire 50 or more workers at a time, but improved farm machinery has decreased the need for workers. Plank described state inspections as “tough.” In a given year, Plank said he spends roughly $1,000 on upkeep. Years ago when he housed more workers, he said he would spend up to $8,000 on maintenance. Many farmers and companies avoid registering housing by placing workers in hotels, apartment buildings or other private dwellings. In other cases, migrant workers stay with family and friends. The former Chanute AFB hospital used as the Nightingale migrant camp in Rantoul, Illinois, on July 11, 2015. The health and safety standards for workers who live in unlicensed housing arranged by employers or job recruiters depend on local, state and federal policies. In Missouri, housing for foreign workers on visas is required to be inspected, but inspections are voluntary for employers that hire other U.S. migrant workers. That fragmented system allows for poor conditions at times, such as packing a dozen people into one trailer with subpar facilities, said Sandy Self of United Migrant Opportunity Services, an advocacy group in Missouri. A recent investigation in Texas by the Austin Statesman found an estimated 90 percent of farmworkers did not live in licensed housing and that the state had a lax inspection system. Although it’s nearly impossible to tell just how many migrant workers are living in unlicensed housing, statistics from the Michigan Department of Agriculture and Rural Development provide some insight. State-licensed camps in Michigan can house a maximum of 25,000 workers, according to the department’s website. Advocates from Michigan Migrant Legal Aid believe the actual total population of migrant workers and their families reaches closer to 60,000. In Texas, there were only 41 state-licensed housing facilities in 2015, indicating most workers were not in licensed housing. A hallway at the Nightingale camp in Rantoul, Illinois, on Sept. 29, 2014. In Illinois, officials say the situation is the similar. 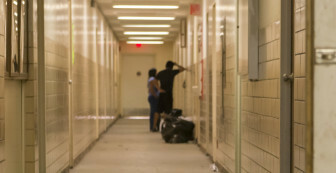 “Most of (Illinois’) migrant labor housing is offsite from the company utilizing migrant laborers and consist of apartment buildings, motel rooms, dorms (and other housing options) that are outside the purview of the IDPH,” Illinois Department of Public Health spokeswoman Melaney Arnold wrote in an email. Poor conditions in unlicensed housing can easily fall between the cracks — forcing migrant workers and their families to live in unhealthy conditions. In one instance, it took more than five years for a county health agency to close down an apartment complex near Rantoul, Ill., where migrant workers and their families lived — even though the landlord frequently turned off the housing’s power and water and children played in raw sewage. That property had been licensed as Illinois migrant labor housing in 2007 and 2008, according to Arnold. “We believe the majority of migrant laborers in Illinois are not living in housing regulated by IDPH, but it’s difficult to say for sure, as you don’t know what you don’t know,” she said.